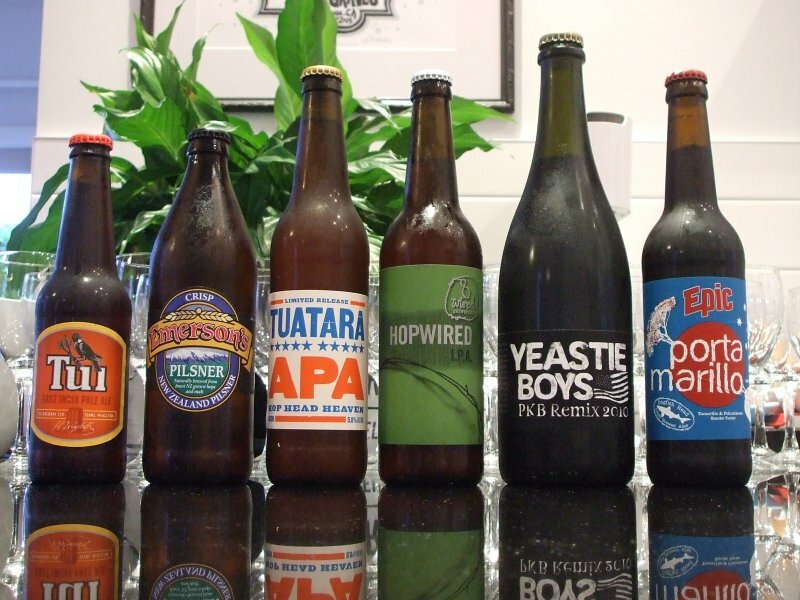 These… actually, a selection from New Zealand. I am neither a sommelier, nor by any means an expert, but I do drink wine. I am a traditionalist and I like corks. Real corks, not synthetic corks, not the abominable screw cap, nor the Lego-looking plastic plug you get in fizzy wine, real corks! If I see a bottle has a screw cap, I immediately overlook it without giving it further consideration; even if it is the type of wine I am looking for, I ignore it. I also dearly wish that wine labels were required to note whether the cork is of the synthetic variety, then it too would be ignored. I have been known to curse aloud when opening a bottle of wine and finding a synthetic stopper, not to mention further cursing when trying to remove the crappy thing from the corkscrew; they just do not want to unscrew. Now, I find there is another innovation on the wine scene. 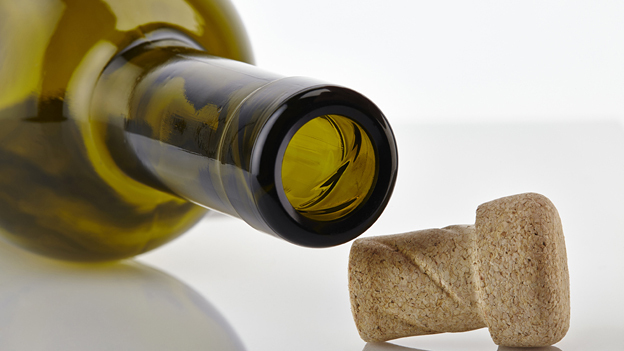 Why the snobbery over corks? 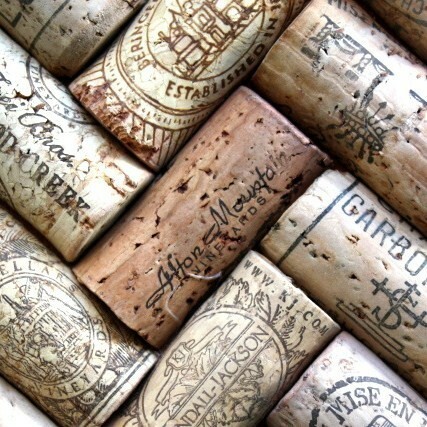 Influential US wine critic Robert Parker reckons that during the mid 1990s 7-10% of the wine he tasted was corked. In 2004 he predicted that by 2015 screw caps would dominate the wine industry. The screw cap – generic name “Stelvin” after its biggest brand – advanced spectacularly in “New World” wine nations. By 2011, 90% of New Zealand wine was sealed this way. But in Europe and the US the cork remains king. Having read that New Zealand wine is 90% screw capped, they’ve just screwed their sales to one more customer. I am a NZer, I am an ex-pat, I would love to have wine from my own country to share with my company, but they’ve just put paid to any hope of that. Even my patriotism will not supersede my abhorrence of screw caps. New Zealand isn’t exactly known for is cocktails, but here’s one worth a mention. You’ll note, of course, the fancy cocktail glass… a preserving jar; indicative of New Zealand’s ‘rough ‘n ready, farmers-in-gumboots reputation. With the 2013 Rugby Sevens tournament on in Wellington and thousands taking to the streets in costumes. I figured I’d get into the spirit of things (excuse the pun) with an original recipe designed to keep us dancing in the streets till the wee hours. The Jolly Green Monster is a fresh, sweet ‘n sour, energy-inducing, party for your mouth. Fresh lime and kiwifruit provide a citrus kick of vitamin C which matches perfectly with an exciting spirit fairly new to the New Zealand bar scene, Agwa Bolivian coca leaf liqueur. With a stimulating, bitter tang it’s a perfect invigorator for these hot summer nights. A splash of apple liqueur packs another flavour punch, then it’s topped with soda or lemonade to create a refreshing summer cooler. For an extra boost, swap the standard fizz for Monster energy drink so you can celebrate a New Zealand win (fingers crossed) with an extra bounce in your step. Muddle/crush fruit in a large jar. Add spirits, fill with ice and shake. 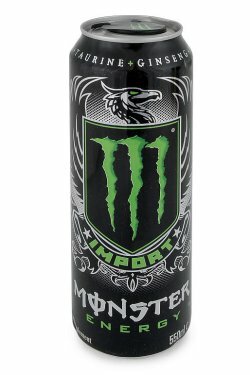 Top with lemonade, soda or Monster Energy drink, depending on your preference of sweetness. 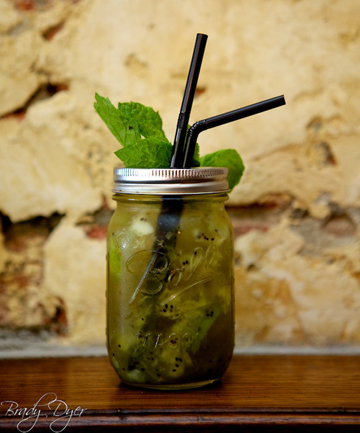 Garnish with a large mint sprig for a fresh aroma. Jason Clark is the bartender at Hummingbird Eatery and Bar. I am not in favour of adding these ‘energy drinks’, Red Bull included, to alcohol, or mixing them with alcohol in any way. Doctors have advised that this combination of high caffeine/alcohol can lead to heart failure or decreased impairment awareness, advice that is ignored by governments because of the corporate finances involved. That’s the land of Tolkein’s Hobbits. You know the Lord of the Rings films that have been filmed in New Zealand. JR R Tolkien famously said, “I’m very fond of a beer”, and the hobbits he created inherited his love of ale, usually drunk in a pub and accompanied by plentiful but simple food. Beer plays a central role in the beginning of The Hobbit. Balin, the second dwarf to arrive at Mr Baggins’ hobbit-hole, declines Bilbo’s offer of tea, saying: “A little beer would suit me better”. 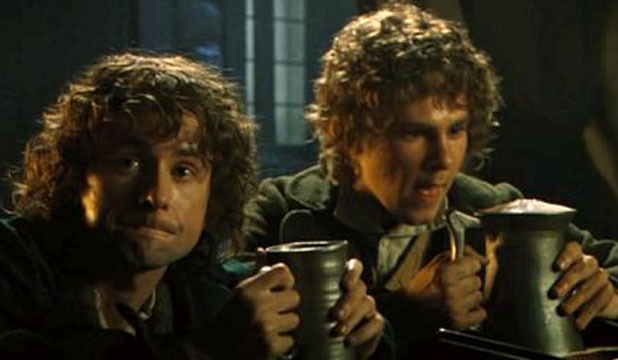 A GOOD DROP: Hobbits Pippin, left, and Merry sup ale in a film from The Lord of the Rings trilogy. As more dwarfs come through the perfectly round green door, “some called for ale and some for porter”, although the great wizard, Gandalf, takes only a little red wine. Fortunately, Bag End has cellars for storing beer barrels, as well as numerous pantries for bread and pies. Beer is considered the most popular beverage in the Middle Earth world. Even the rather stupid trolls in the forest clearing wash down their roast mutton with beer drunk from enormous jugs. After the trolls are defeated, the company takes their gold coins, unsullied food, two jewelled swords and “one barrel of ale which was still full”. While Hobbits drink mead, wine and stronger spirits, their first love remains beer. In The Fellowship of the Ring film, few will forget the look of pure joy on Merry’s face when Pippin demonstrates that beer can indeed be served in pints. In the three The Lord of the Rings movies, the beer usually drunk on camera was Sobering Thought, a 1 per cent dark stout created specially by Harrington’s Brewery in Nelson. Marmite or Vegemite, which came first, the chicken or the egg. In New Zealand I grew up with Marmite, but across the ditch (Tasman Sea) Vegemite reigned supreme. To me Vegemite tasted funny. 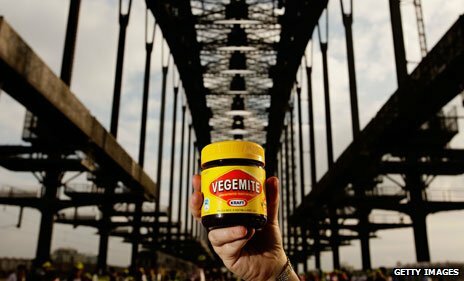 Vegemite started as a wartime substitute for Marmite, but it’s now as symbolic of Australia as Sydney Harbour Bridge and the koala. How did this salty spread become so popular? What’s the link between German U-boats, the beer industry, processed cheese and the Men At Work’s 1983 hit, Down Under? The answer is, they all played a part in turning Vegemite from a humble yeast spread into an Australian icon. Stop any Aussie on any street, anywhere in the world, and they will have a view on Vegemite – for, or against. Now, on the eve of its 90th birthday, the first official history has just been published. The Man Who Invented Vegemite is written by Jamie Callister, grandson of the man who created it. “My grandfather Cyril created something that all Australians associate with their childhood. It never leaves you,” he says. The story really begins in the late 19th Century, when an edible by-product was first extracted from the yeast used by brewers to make beer. In 1902, Britain’s Marmite Extract Food Company came into being, taking its name from the French word “marmite”, for large pot. Marmite was sent around the world, including to Australia. But during World War I, those exports were badly interrupted by German U-boats attacking merchant ships. That’s where Cyril Callister comes in. 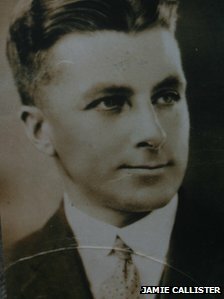 Born in 1893 in rural Victoria, he was a clever child who went to college and became a chemist. He lived an exciting, unorthodox, life, travelling the world and ending up as a scientist at a munitions factory in Scotland. After an explosion at the factory, Callister returned to Australia, where he met an entrepreneur called Fred Walker, who was trying to develop a Marmite substitute. Walker had already seen one local brewer try to come up with its own version of Marmite, called Cubex. But this thick, bitter sludge was a culinary and financial disaster. Walker put Callister on the case in 1923, and by the end of the year, the pair were confident they had a finished product. Walker decided to launch a competition so the public could name it and claim a £50 prize. Hundreds entered and it was Walker’s daughter Sheila who pulled the word Vegemite out of a hat. Like the product itself, the name stuck. But sales were sluggish. Walker had heard about an ingenious Canadian called James Kraft, who had perfected what came to be known as processed cheese. It was a sensation, as it allowed people who couldn’t afford fridges to store cheese for much longer periods. In 1924, Walker met Kraft in Chicago. The two men got on well and Walker persuaded Kraft to grant him rights to sell his cheeses in Australia. In a stroke of marketing genius, he offered Vegemite alongside the cheese. By the mid 1930s, Vegemite was, if not quite a runaway success, certainly a moderately well-established family staple. But it took a professor of human physiology to transform its fortunes. New Zealand does make it’s own. It’s available in the USA, having been recently launched there. What’s your idea of faultless fish and chips? Tony Naylor prepares the ground for the battle of the batter – will there be peas in our time? This month on How to Eat – the series attempting to isolate the perfect iteration of the nation’s favourite dishes – we turn our forensic fork to a true British classic: fish ‘n’ chips. It fed an embattled nation during the second world war, and, in Yorkshire, it could yet spark a third conflagration – if you to try fry it in vegetable oil. Over 150 years after it was “invented”, it remains Britain’s favourite takeaway. There are still, it is reported, eight chippies for every branch of McDonald’s. But what makes great fish and chips? It’s time to separate the truth from the codswallop. At the chippy, and only the chippy. Yes, in theory, you could cook fish and chips at home. But is it wise? Unless your local chippy is one of those fraudulent frozen fish and gristle-burger joints, then its fryers will invariably be armed with better batter and fatter fillets than you can muster. Plus, fish and chips is supposed to feel like a treat. You can’t have a “chippy tea”, if you are the chippy. Fish and chips in a pub or restaurant, meanwhile, just feels wrong. It shouldn’t be eaten indoors, with a knife and fork. More importantly, professional chefs can rarely cook fish and chips without refining it: spiking the batter with vodka; minting the mushy peas; serving your “chunky” chips in a metal bucket (it’s the seaside, geddit? ); all of which detracts from the dirty pleasure of fish and chips. Plus, to justify that £11 price tag, restaurants tend to serve ludicrously big portions. In a restaurant, your fish and chips will be cooked to order, but your local chippy should be doing that too. If not, find one that does. In a polystyrene tray or one of those posh corrugated-cardboard boxes. To be eaten with a tiny, fiddly wooden fork and greasy fingers. It’s the only way. Picture it: it’s Friday, chippy tea night. Was the magic not lost the moment your mum insisted on getting the plates out? Exactly. You knew this instinctively even before (thanks, Harold McGee) you had the scientific evidence to prove it. To stay crisp, batter needs circulating air. Any steam needs to be able to escape. Sat on a plate, trapped under hot fish, it will quickly reabsorb moisture and get soggy. Off. The fish is essentially a delivery vehicle for the batter. Who wants to scrape 50% of it off an unwelcome gluey insole? Salt, Sarsons, no pepper. Never tomato sauce. Gravy or curry sauce with chips, but not with fish. It’s barbaric. As for tartare sauce, a good, homemade caper-packed one is a wonderful thing, but you do have to choose between tartare or mushy peas. There is something about the cashmere textural comfort of freshly cooked, vibrant mushy peas and the sharp, creamy jangle of tartare that jars. Each places fish and chips in a different register. Garden peas are not acceptable. Baked beans take the whole plate in a different sweeter direction and are better kept separate and eaten with chips. Bread and butter is essential, the chip butty an exceptional amuse and / or savoury course, as you see fit. Strong tea, light beer or your favourite fizzy pop. Personally, I think cola’s caramel flavours are the most complementary. Either way, there’s a lot of grease here, you need plenty of (preferably carbonated) liquid, to cut through it. Wine is a waste, water too bloating. Yes, you definitely need chips. In fact I would go as far as to say, you can’t have fish and chips without them. And chips, as Oliver Thring touched on recently here, doesn’t mean fries, huge wedges, oven or frozen, it means Maris Pipers chipped that morning, as thick as your finger, and cooked to perfection within a spectrum that starts, if using veg oil, at golden and buttery, and ends, equally fluffily, if frying in beef dripping, with chips the colour of autumn leaves. Cod or haddock? Haddock or cod? I don’t really care. As long as it is fresh, sweet and muscular enough to separate into big satisfying flakes – and is sustainably caught, of course – there is almost nothing to choose between the two. And both, ultimately, are secondary to the batter. The real star of the fish and chips show, batter (which should be cooked through with no raw batter within), is at its best when it is well seasoned and made using a raising agent, beer or malt vinegar, which, as Felicity Cloake has observed, delivers a nicely “citric” twist. Now, as you may have noticed, batters differ massively, in terms of their colour (determined by the type of flour, the amount of salt used and sometimes added colourings), and their surface texture. Batters can be smooth, spiky, swirly, curly. I had assumed, on the occasions that I have pondered this each side of the Lancashire (flatter), Yorkshire (spikier) border, that this was due to the different oils used, but apparently – and thanks to the National Federation of Fish Friers and Mark Drummond at Towngate Fisheries for the technical info – it’s down to the raising agent, the amount you add and how much the batter has been beaten. “Why different areas of the country like different batter styles, I can’t say,” concedes Drummond. But they do, with the big food service outfits offering numerous batter mixes, including a rippled Scottish one. The best? I will happily eat either, but for me it’s got be a flat batter cooked in veg oil. A well-seasoned light, but not tempura-light, batter delivers enough flavour without overwhelming the fish, whereas fish cooked in beef dripping can be more reminiscent of roast dinner. The fish should steam within a sealed carapace of batter. Spikier batters tend to crack, leaving the fish exposed, and the final product heavy and oily. That said, chips cooked in vegetable oil are often bland and anaemic, where their bronzed, beef-cooked cousins both look better and pack an unbeatable, residual savoury oomph. Therefore, until some far-sighted chip shop starts frying its fish in veg oil and its chips in beef dripping (would that even work, harmoniously, in the mouth? ), my absolutely perfect plate of fish and chips may remain a distant dream. But, enough of this blue skies bunkum, how do you eat your fish and chips? Well, there you have it, everything you wanted to know about fish ‘n chips…. and more. When I was a lad, millions of years ago, in New Zealand fish ‘n chips came in a paper parcel, newspaper. This one is neatly taped, ours were just tucked in at the ends. But someone in their wisdom… idiots, decided that the lead in the printing ink or process wasn’t good for us, so they changed to unused newsprint. Fish ‘n chips were never the same from that moment on. There were only two ways to eat them. One if you were at school, you merely ripped a gapping hole in one end, big enough for your tiny fist; the other was to spread the parcel open on the front room floor in front of the telly. I have to comment on the condiments. 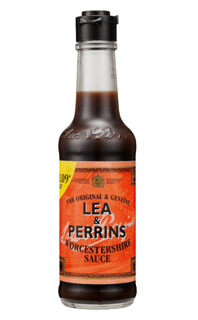 In our house my brother and sister used tomato sauce, my father and I used Lea & Perrins (never Boss) Worcestershire Sauce. Things like vinegar and lemon were something they did in other countries, and tartare sauce was not for the hoipoloi like us. But I must agree in essence with all the above. Fish ‘n chips is not just food, it’s an art and a science. SHOPPERS who are wild about kangaroo could soon find meats such as bison, buffalo and camel on their supermarket shelves. While it is legal to eat so-called ”exotic meats”, which also include antelope, alpaca and llama, complex regulations have made commercial production difficult or unviable. This may be about to change. Food Standards Australia New Zealand will call tomorrow for submissions on a new national standard for the processing of ”wild game and minor species”. The agency said the current ”prescriptive” requirements could be replaced by alternative slaughter and processing methods. In particular, farmers are expected to call for an end to the requirement for bovine animals such as bison and buffalo to be killed in an abattoir. Victorian bison farmer John Perry said forcing a temperamental, 1200-kilogram beast on to a truck was onerous enough but the stress of transportation on bison was also more severe than on cattle. ”Transporting these animals for slaughter is not ideal, from a commercial or a welfare point of view,” he said. Mr Perry has 80 bison on his property at Cheshunt, 60 kilometres south of Wangaratta, but is not currently producing any meat for sale. He is one of fewer than 10 people farming bison in Australia and said regulatory change could help them realise their potential. ”Bison is slightly sweeter and leaner than beef and is becoming incredibly popular in the United States,” he said. Victorian distributors say the potential for markets in bison, buffalo and camel meats is being stymied by regulations that cause irregular supply. Camel and kangaroo meats tend to be higher in protein, lower in fat and have a smaller carbon footprint. Coles and Woolworths have been selling kangaroo meat for more than 10 years and say sales have been growing by up to 25 per cent a year. Kangaroo was legalised for human consumption in Victoria in 1993 but it remains illegal to commercially harvest kangaroos. So while Victorian farmers with culling permits can shoot as many as 30,000 kangaroos a year, they are banned from selling the meat. ”They’re currently killing kangaroos and just putting them in a pit, which is crazy given the demand for the meat,” said Nash Cowie, of Wangara Poultry and Game in Kensington. 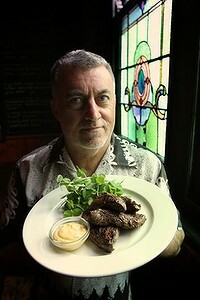 The Napier Hotel in Fitzroy has been selling kangaroo dishes for 15 years and currently serves up about 100 kilograms a week. ”We get our kangaroo from South Australia but we would love to get it locally, if the quality was right,” manager Guy Lawson said. The proposed changes to food standards will have no bearing on Victoria’s kangaroo harvesting laws. But a government spokeswoman said it was ”undertaking some preliminary work to assess the feasibility of commercial kangaroo harvesting which occurs in other states”. Or in New Zealand it is known also by the Maori name Hapuka and is well known in our fish shops. 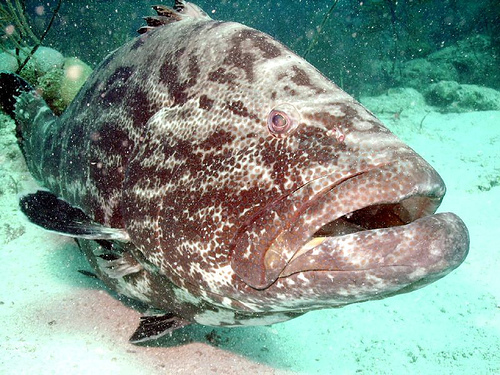 This fish is common in the waters around New Zealand and Australia. Fillets from the Hapuka are firm, white, large flaked, very flavorful, and somewhat similar to a bass. Good in soups, as fillets and steaks. You you can roast it, braised it, boil it and bake it. Or simply chuck a whole one on the BBQ and even make fish cakes with it. The Rolls Royce of New Zealand fish. Dozens of takeaway shops across Christchurch are apologising to their customer base for the recent drop in chip standards. Chips are burning in friers, which is driving punters away. Shop owners are blaming a rise in water table levels affecting the quality of potatoes being pulled out of the ground, which is resulting in a low-quality takeaway product.